NORBO HAS BEEN ONE OF THE MOST INFLUENTIAL PRODUCING STUD DUGS WORLDWIDE FOR THE ORIGINAL WORKING GERMAN SHEPHERD DOG. 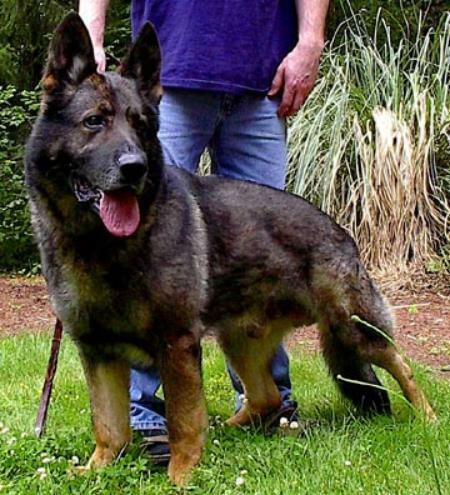 Norbo, you were singularly responsible for my loving and owning Czech/Slovak GSDs......you set me down that path ! Rest in peace, big boy. He is the EPITOME of a real czech dog! Handsome ! legendary gsd..so far for me,the perfect gsd. Norbo, may you rest in peace. It was you that made me want a German Shepherd dog when I first saw you. You will live on in my memories and never be forgotten by me.